MILWAUKEE, WI – Milwaukee Tool Corp. continues to provide time-saving solutions for the professional with the introduction of the new Door Lock Installation Kit. Featuring Milwaukee’s renowned Ice Hardened Bi-Metal Hole Saws, the kit is designed to provide Professional Remodelers and MRO users an accurate and easy-to-use solution for installing locksets and deadbolts on doors, while solving the common frustrations users often face with existing kits on the market. Professional features include an Auto-Centering Drill Guide to accurately center the door latch hole, a non-slip clamp design that prevents accidental movement of the guide, an easy to use Backset Adjustment with no loose parts, and an Anti-Splinter Depth Stop for a clean professional finish. 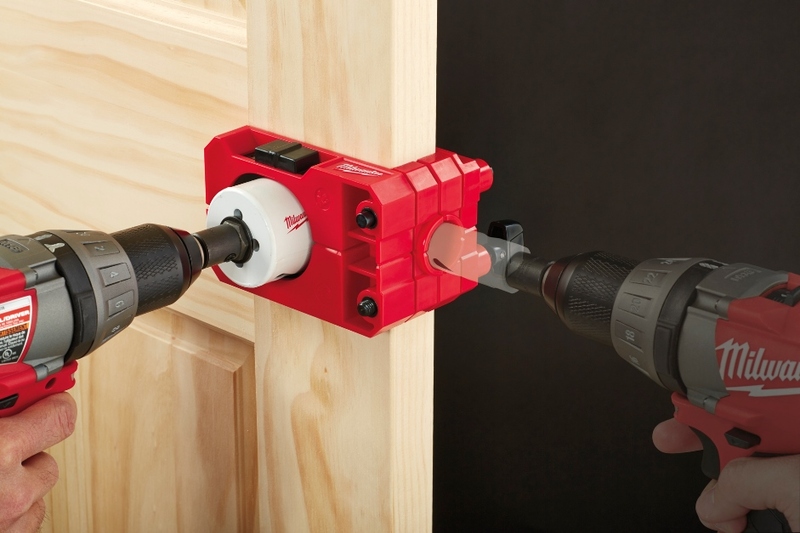 Available in September 2013, the new Door Lock Installation Kit demonstrates Milwaukee’s continued commitment to delivering innovative accessory solutions to save time and increase productivity on the jobsite. Since the company began in 1924, Milwaukee Tool Corp. has led the industry in both durability and performance by providing the best in professional, heavy duty tools and accessories. With an unwavering commitment to the trades, Milwaukee continues to lead with a focus on providing innovative, trade-specific solutions. Whether it is through their leadership in LITHIUM-ION technology, as seen in the M12, M18 & M28 Systems, time-saving accessories or innovation new Hand Tool and Test Instrument product lines, Milwaukee is dedicated to delivering a steady stream of advanced solutions for the trades that offer increased productivity and unmatched durability. For more information on the full line of Milwaukee products, please call 1-800-SAWDUST or visit MilwaukeeTool.com.